2017 Traxxas Ford Raptor Slash Gets Fox Livery « Big Squid RC – RC Car and Truck News, Reviews, Videos, and More! New from Traxxas is Fox Livery for the 2017 Ford Raptor Slash. This is the 2wd version of the Slash featuring a 12 turn brushed motor and that extremely sharp looking Raptor body. Traxxas has been working with Fox for years and the Fox graphics sure look good on the Raptor. 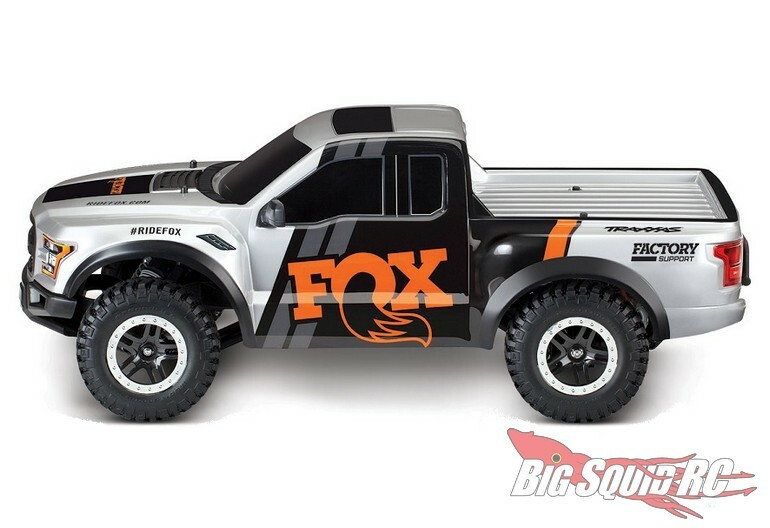 Pricing for the Fox Raptor is $265 and it has a part number of #58094-1. Use This Link to check out the official Traxxas website, or Click Here to read more Traxxas news on BigSquidRC.